Life is like … buses? Sometimes we describe things like buses, you wait ages and then three (or more!) come along at once! That is just what happened with me recently – I hadn’t blogged for a couple of weeks as not much wildlife had been seen and I had no activities worth reporting either. 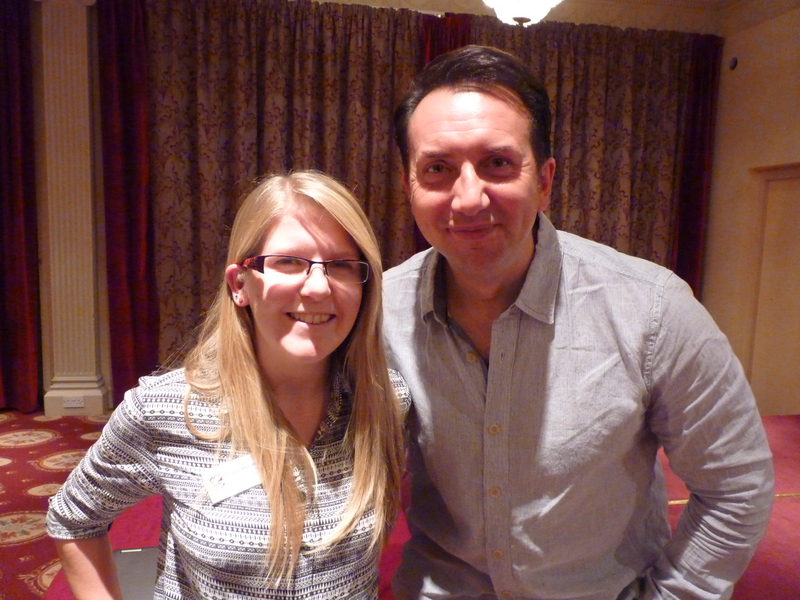 Then this week, lots happened and I’m worrying that this blog post may end up being too long! 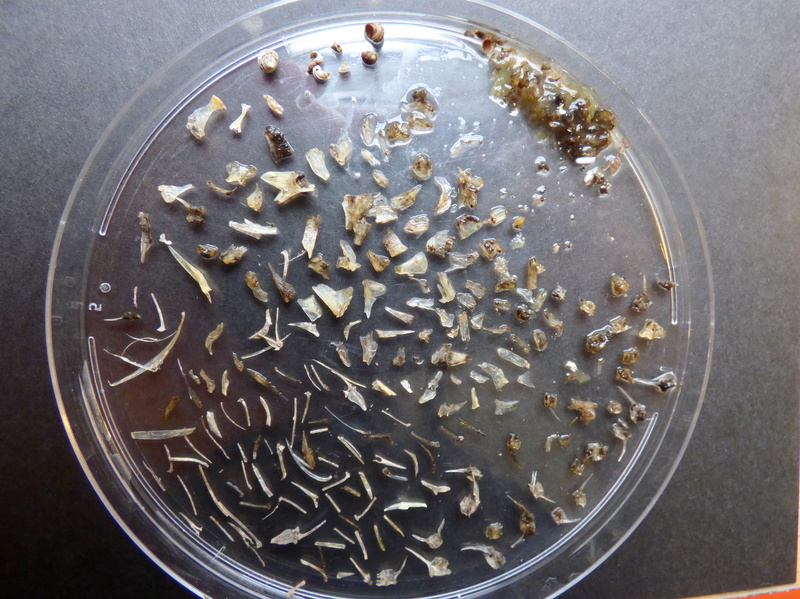 The week began with one of my favourite activities – moth trapping! I haven’t put my moth trap out much recently because of the weather but the end of last week was relatively mild so I decided to give it a go and hope for the best. 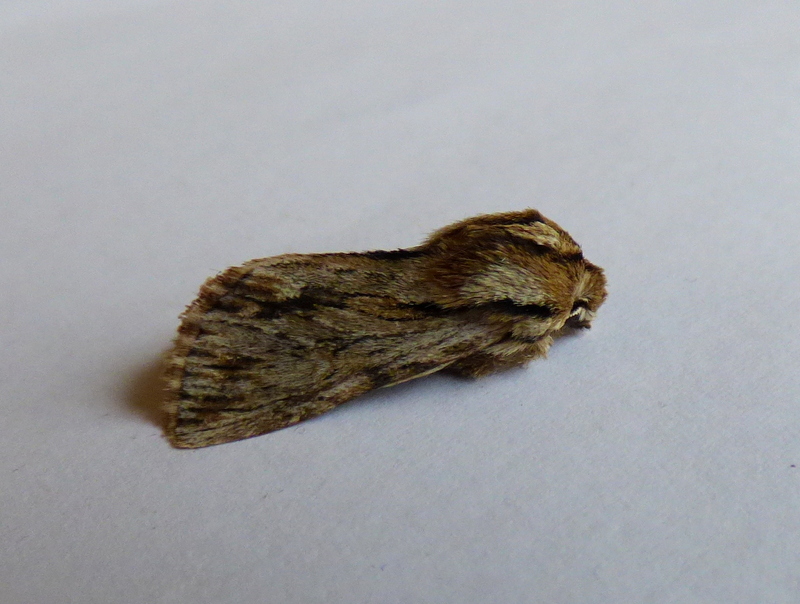 I caught some great moths such as Feathered Thorn and Green-brindled Crescent. 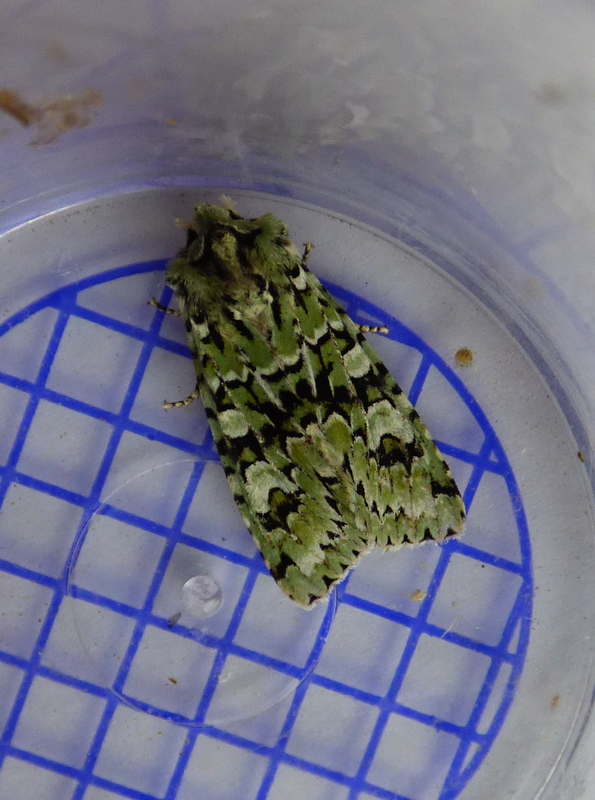 I also caught four Merveille Du Jour which was pretty awesome because (1) it always seem to cause excitement on Fb/Twitter, (2) the invert (but not moths) county recorder had never seen one but I’d just seen four in two nights, (3) it is a real stunner in terms of its patterning and colouration, and (4) it has a fantastic name! The middle of the week saw me trekking over to Aberystwyth where I’d been invited to give a guest lecture to third year undergraduates on my personal experience of using Twitter and blogging in science communication. It was really good fun and a great experience, but also very nerve-wracking! I got positive feedback from the lecturer and some students, apparently it was an enjoyable lecture so whoo go me! I also met a fellow moth-er (i.e. someone who traps and identifies moths) so that was nice. I was also doing some work towards my secret upcoming project (it is getting close to being revealed! ), which involved popping into the museum. 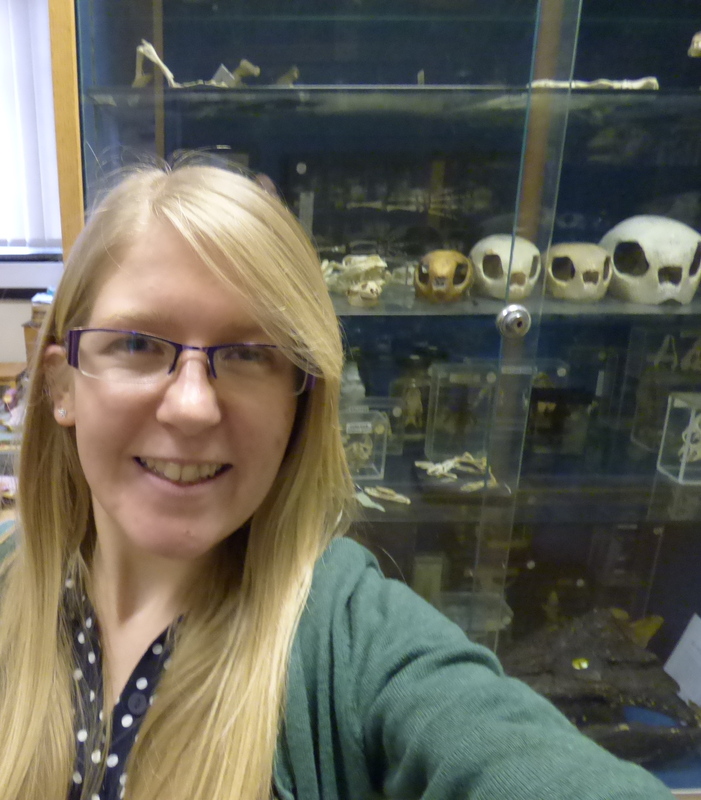 This was so exciting as I hadn’t actually seen the museum when I was studying there as an undergraduate – it was so thrilling that I even took a selfie which is incredibly rare for me! 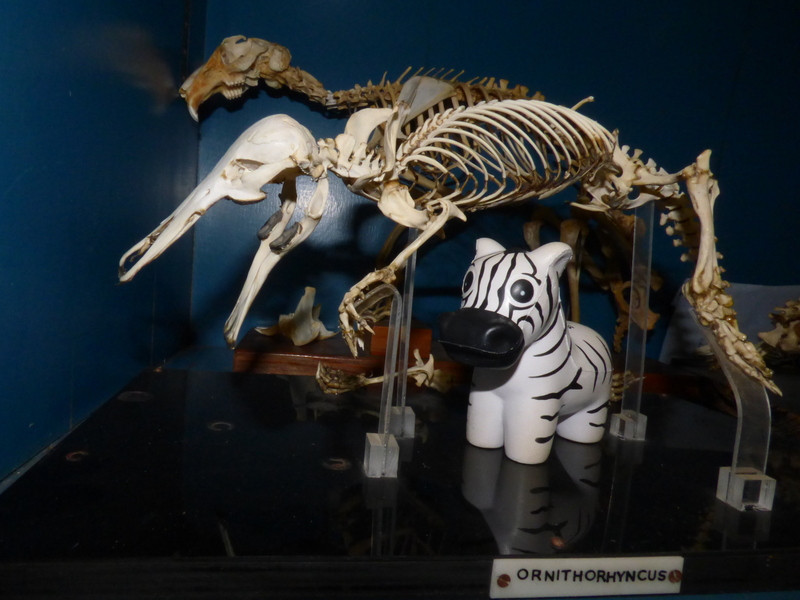 I also took a photo of Barcode with a platpus skeleton as I was surprised at how small the playpus is! In my imagination it was much large – pine marten size roughly! But actually it’s pretty small! Thursday had even more excitement as Dr Rhys Jones (from the TV!) was visiting Radnorshire Wildlife Trust to give the Memorial Barnes Lecture. He spoke about his experiences with wildlife, and it was really inspiring to hear how he’d overcome various challenges – both personal and wildlife crime related. If you get the chance to hear him speak, don’t miss on it! At the weekend, I did the typical thing that a passionate conservationist does on their day off – I did more wildlife / conservation related activity! In this case it was a workshop run by the MISE project / Vincent Wildlife Trust on otter dietary analysis – i.e. taking apart their spraint (aka faeces) to look at what they have been eating. It was really good fun, though quite difficult as deciding which vertebra belongs to which species of fish is rather mind-boggling! However, it isn’t always just fish bones. 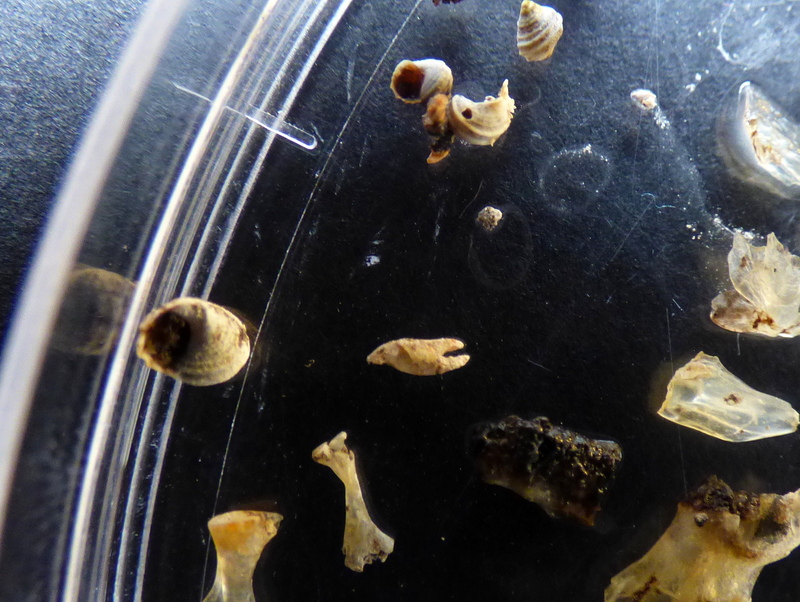 There can be amphibian bones, the occasional small mammal or bird bones, and even unexpected objects. 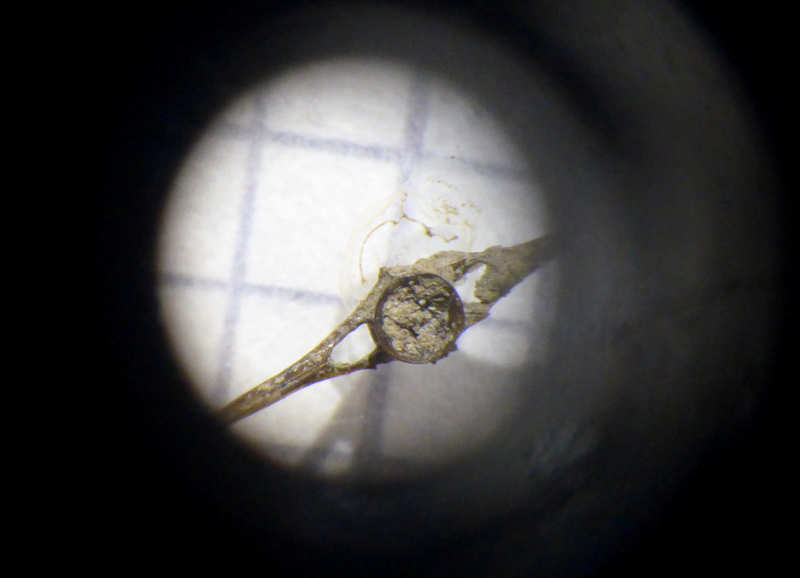 One of the spraints I was analysing had some snail shells in it! And a tiny crab claw! For the latter, I don’t think the otter actually ate this tiny crab, but rather it ate a fish who had eaten a crab. As for the snails, it may also be the same reason. Tiny crab claw! And some snail shells? 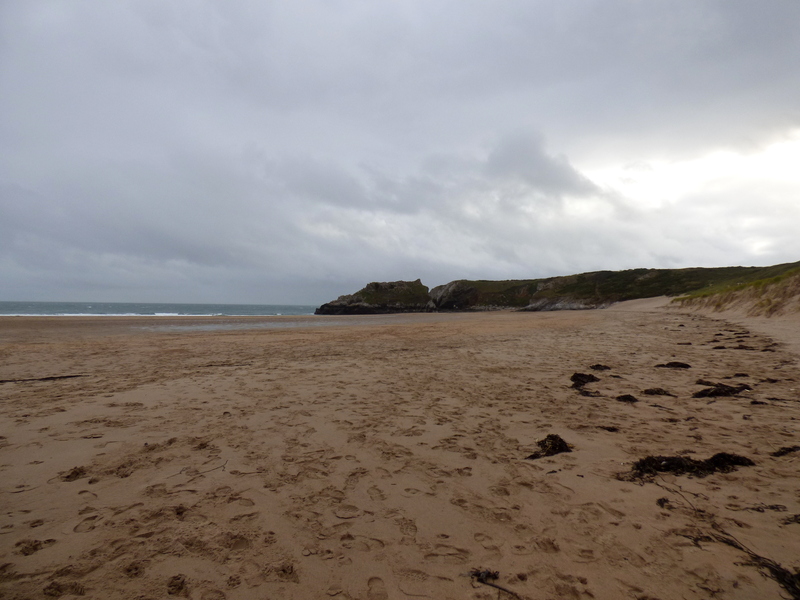 On a separate note, the workshop was being held at a Field Studies Council centre in Pembrokeshire – Orielton. I’ve actually visited the centre before, roughly 7ish years ago, on a school biology field trip. It was nice to visit again, though slightly odd because somehow I staying in exactly the same room as before! How does that even happen? We took a break from peering down microscopes and headed out to Bosherton Lily Ponds / Stackpole. 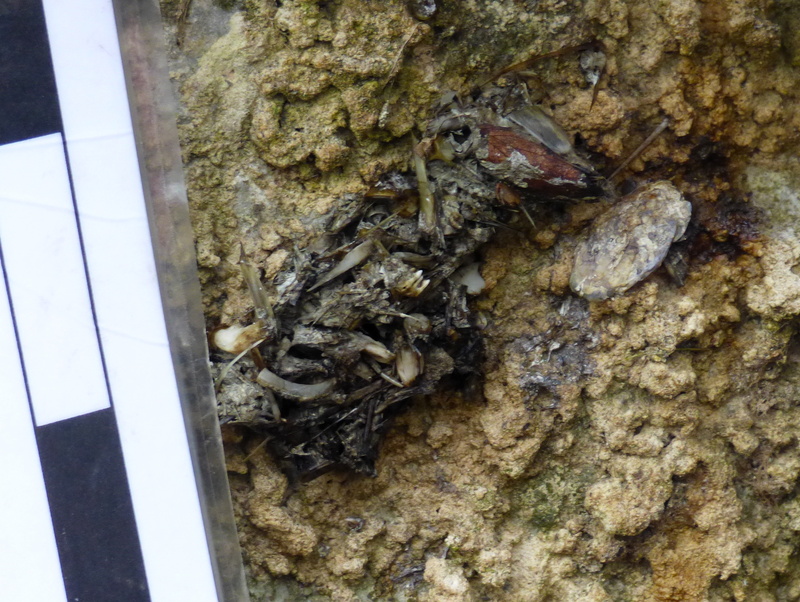 We found some relatively fresh spraint, though the one in the photo is not the freshest. The beach is also lovely if you do go down there. 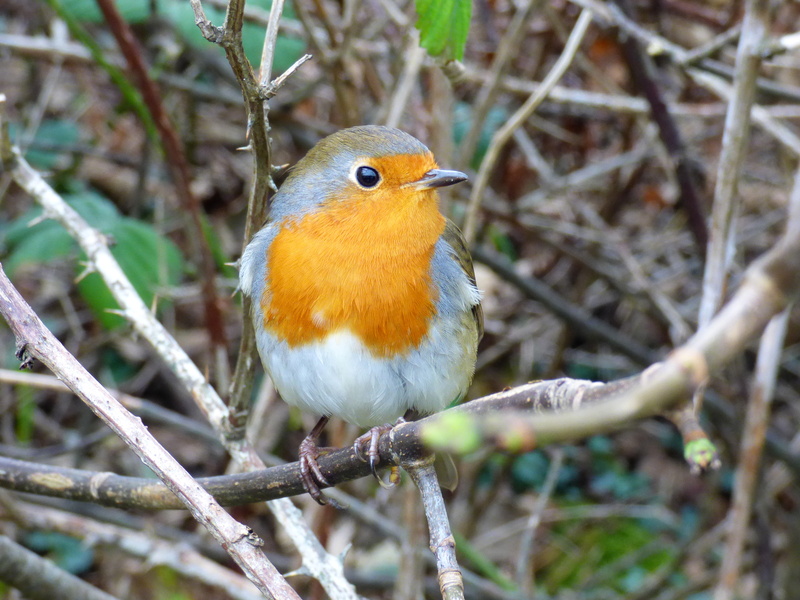 Plus on the walk back, we met a really relaxed robin who actually fed from my hand! I didn’t manage to get a photo of it doing so, but I did get a cute photo if it nonetheless. 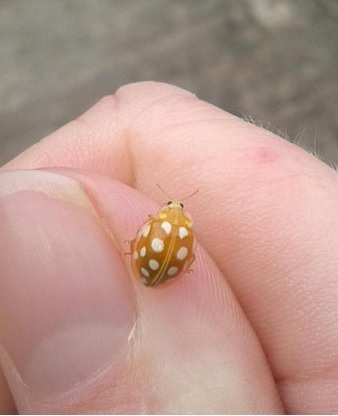 Last but not least, I also saw a cute ladybird (species: Orange Ladybird), who landed on my hand briefly. http://builddomain.co.uk/wp-content/uploads/2016/11/weblogo.png 0 0 mgshersby http://builddomain.co.uk/wp-content/uploads/2016/11/weblogo.png mgshersby2014-10-26 20:22:132014-10-26 20:22:13Life is like ... buses? Just thought I’d let you know the Ladybird is an Orange Ladybird (Halyzia 16-guttata), the elytra and pronotum are orange in this species as opposed to being a deep red in the Cream-spot, there is also an almost transparent ‘rim’ around the elytra of the Orange – visible in your photo, which is absent in the Cream-spot. The Orange is also a species that often turns up in moth-traps and at illuminated windows. Belated well done on getting the job, sounds like you’re enjoying yourself and long may you continue to do so.